I came across something pretty funny the other day. Partial Face Transplants via the website www.freakingnews.com. 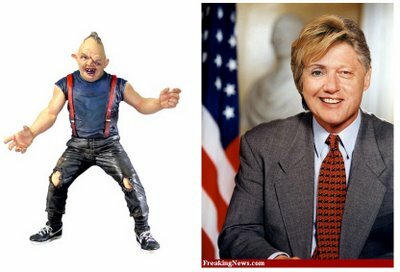 Here's one of "HillBillary" Clinton. Immediately made me think of Sloth from The Goonies.